Those are routine sounds heard ‘round many a work site. While most workers are accustomed to these sounds and aren’t fazed by them, there could be danger lurking still. Workplace noise levels can be harmful both in the short term and long term. That’s why they require a well-planned noise reduction plan, given the length of the workday and the unavoidable level of noise that comes with certain job site activity. For most of us, noise exposure is limited to an occasional siren, or large truck passing by, or sometimes the music level of our various devices. However, there are many who are exposed to work related noise levels that can pose a significant risk for hearing loss. Excessive noise poses a serious risk for hearing loss and can have both near term and longer-term health impacts. Moderate hearing loss typically results in a person having difficulty hearing regular speech at a relatively close distance. Severe hearing loss can result in inability to hear basic conversation. 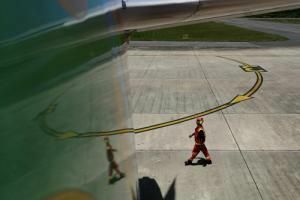 Everyday exposure to some noise level is common, but sustained noise levels over time is a risk situation that requires a proactive approach. What is the limit for noise level over a time interval that is considered a risk for hearing loss? The standard guideline is 85 decibels of noise averaged over 8 hours. This is the level that will lead to hearing loss. Above that level, the risk for hearing loss increases significantly. According to a CDC (Center for Disease Control for every 3 decibels over 85 decibels, the exposure time guideline is cut in half. The louder the noise the greater the risk to your hearing. A person spending 6-8 hours exposed to any on this example list, without proper protection, can expect hearing loss. What is the mitigation approach for the risk of hearing loss? Avoidance is usually the first step in any risk situation. But that may not always be a possible, given the location and occupation of the daily work activity involved. We can’t all work at the library, nor is shutting down the all the large machinery at the job site a possibility. One effective form of avoidance at the work site is to rotate workers to equipment or locations that generate excessive noise and thereby limit exposure. Again, avoidance is not always possible. Next step is to prevent hearing loss while working. 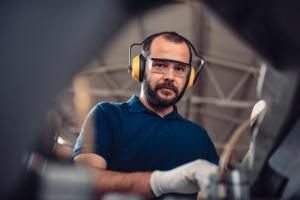 The recommend approach to hearing protection in a noisy workplace is either earplugs or earmuffs, or in some cases a combination of both. 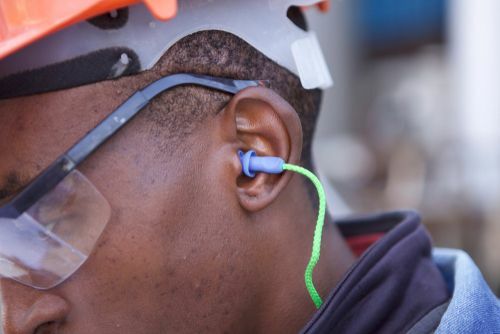 PPE (Personal Protective Equipment) is vital for hearing protection. 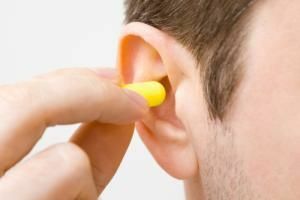 Ear plugs are considered the best option for hearing protection, when properly inserted inside the ear. Inside the ear canal is the best approach to protection, but a proper insertion is very important. Ear plugs are also easy to carry and ideal to have on hand to use when necessary. Ear muffs are designed to protect by covering the entire ear. It is recommended to try to use full noise reduction ear muffs, to provide maximum protection. Another advantage of using ear muffs is they can be shared among co-workers. A combination of both plugs and muffs can be used in certain situations. 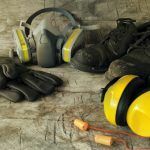 Regardless of the form of protection, a workplace noise evaluation and protection plan must be implemented to avoid the risk of both near term and longer-term health impacts. Talk to Advanced Consulting & Training today about how we can help!